DOVER, Del., Nov. 1, 2017 /PRNewswire/ -- Chesapeake Utilities Corporation (NYSE: CPK) announced that Dr. Ronald G. Forsythe Jr., a member of the Board of Directors since 2014, has been named one of the 2017 Most Influential Black Corporate Directors by Savoy Magazine. A national business publication reporting on African-American success and achievement, Savoy Magazine issues an annual listing of prominent executives, influencers and achievers contributing leadership to corporate boards. "I am honored to be named to Savoy Magazine's 2017 Most Influential Black Corporate Directors," said Dr. Forsythe. "I very much appreciate the opportunity I have to contribute to Chesapeake Utilities Corporation, its Board of Directors and its senior management team. I am enriched by the talent, culture, care and drive that I see throughout this Company." "We congratulate Ron on this very special honor," said Michael P. McMasters, Chesapeake Utilities Corporation President and Chief Executive Officer. "The business acumen and experience that Ron and his fellow Board members bring to the Company sustain our efforts to deliver value to our customers, employees, investors and the communities we serve." "Ron's contributions to the Company's Board have been invaluable, and this recognition is very well-deserved," said John R. Schimkaitis, Chairman of Chesapeake Utilities Corporation Board of Directors. "Ron's experience in both the public and private sectors, coupled with his expertise in information technology, engineering, renewable energy and economic and workforce development have added to the breadth and depth of the already diverse backgrounds and skill sets of our Board." Dr. Forsythe is President and Chief Executive Officer of Quality Health Strategies and previously served as its Chief Operating Officer. 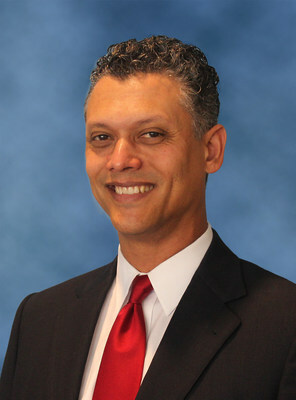 He served as Chief Information Officer and Vice President at the University of Maryland Eastern Shore. In addition, Dr. Forsythe is a member of the Regional Advisory Board of Branch Banking and Trust Company and previously served as a member of the Advisory Board for the Worcester County, Maryland School System STEM Initiative, and a member of the Boards of the Peninsula Regional Medical Center Foundation, Quality Health Foundation, and Horizons® at the Salisbury School. Dr. Forsythe holds masters and doctoral degrees in chemical engineering from the University of Maryland. In 2017, Dr. Forsythe joined colleagues serving on other public boards, including Fortune 500 companies, as a recipient of the highest recognition for corporate directors – the National Association of Corporate Directors Board Leadership Fellowship.